Image copyright US Navy/public domain. Cyclone names added by me. 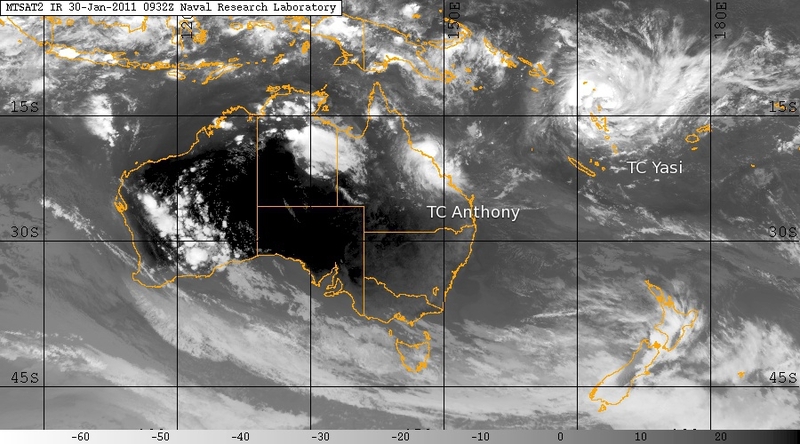 This entry was posted in Cyclone Yasi, Weather and tagged australia, cyclone anthony, cyclone season, cyclone yasi, far north queensland, fnq, Weather on 2011-01-30 by pete.